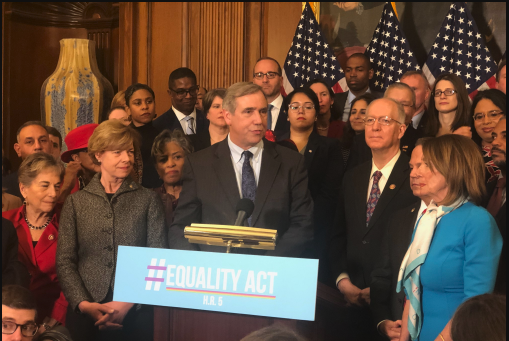 April 2, 2019: Deputy Executive Director Kierra Johnson shares with Congress the need for full nondiscrimination protections for LGBTQ people, especially in housing. The National LGBTQ Task Force educates federal policymakers about the need for non-discrimination protections that ensure the whole person is able to advocate for themselves when discriminated against, wherever that discrimination takes place. We work with a wide range of progressive partner organizations across the country both at the state and federal level, like the National Black Justice Coalition. The Task Force shifts the conversation from a political and technical one to a national and inclusive conversation based on morals and values. 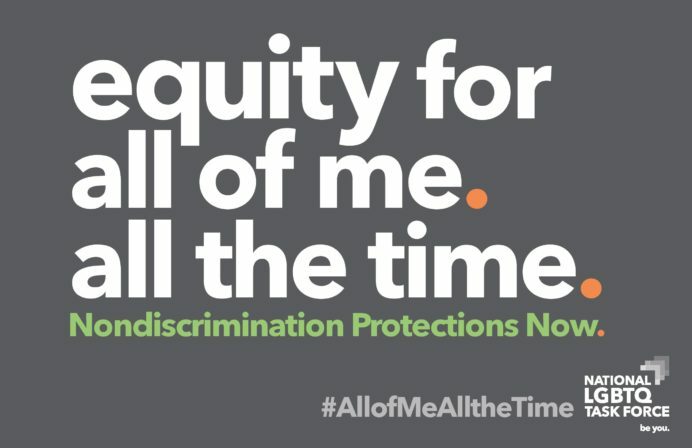 Equity for All of Me. All the Time. 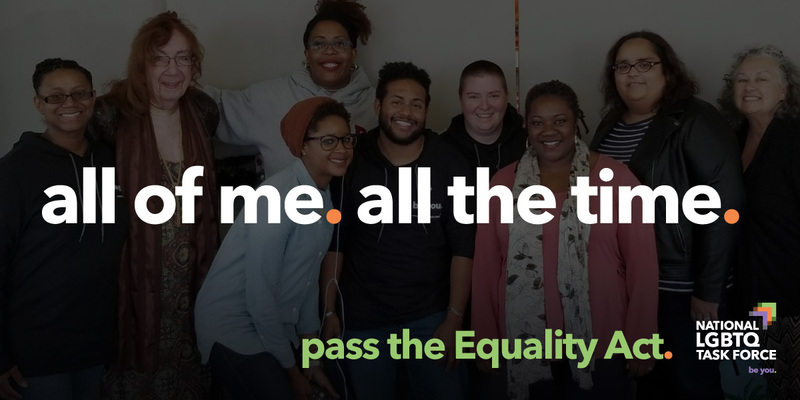 is a national public education campaign launched by the National LGBTQ Task Force and the National Black Justice Coalition. We are working to fulfill the promise of the legacy of Bayard Rustin and Pauli Murray – two architects of the Civil Rights Movement who were not fully protected by the very laws and legal theories they helped to manifest. The Civil Rights Act of 1964 protected them from racial discrimination, but not the lifelong suffering of discrimination based on their sexual orientation and gender identity – some of which happened within the very movements for which they fought for each day. We are fighting so that we don’t see another generation of queer women and people of color who have to avoid discrimination in their daily lives because there is not the legal means to fight against it or the legal pressure for it not to occur in the first place. Let’s remember that we stand on the shoulders of our ancestors and are preparing our shoulders for the generations to come.